Google Pixel 2 XL is the latest and best flagship device at present. And if you already have it or planning to buy pixel 2 XL. Then you should check 5 Best Tempered Glasses for Google Pixel 2 XL, which will help you to protect your smartphone. No doubt that Google pixel 2 XL is protected by Corning Gorilla Glass 5, but we need to minimize the risk. Pixel 2 XL is one of the best Smartphones regarding Design as well as Performance. Pixel 2 XL has a 6-inch(2880x1440p) pOLED display of 18:9 Aspect Ratio. It is designed in a way that makes it easy to install on Pixel 2 XL. The tempered is ultra-thin with 0.3mm thickness and has surface Hardness of 9H. It is available in black color which matches the Google pixel 2 XL display bezel color. With Tempered Glass you will get 30-Day Money Back Guarantee and Life-Time Warranty. It is available on Power Support official site for $39.95. You will get Edge-to-Edge screen protection with its 3-D curved edges. The thickness of the Tempered Glass is just 0.33mm which will provide excellent Transparency with Responsive Touch. The Glass is highly durable and protected with 9H hardness, which also provides scratch resistance feature. You will get a 3-month warranty with the Tempered Glass. It is available on mobilefun.uk site for $17.44. You will get Edge-to-Edge screen protection with its 3-D curved edges. It offers Toughness, High visibility, and sensitivity. The thickness of the Tempered Glass is just 0.26mm which will provide excellent Transparency with Responsive Touch. The Glass is highly durable and protected with 9H hardness, which also provides scratch resistance feature. You will get 30-Day Money Back Guarantee and 2-year Warranty. It is available on ZAGG official site for $49.99. You will get Edge-to-Edge screen protection with its 3-D curved edges. It offers Toughness, High visibility, sensitivity, excellent Transparency and Responsive Touch. It is highly durable and protected with 9H hardness, which will also provide scratch resistance feature. You will get Life-Time warranty with the Tempered Glass. You can get it from Amazon.com for $7.85. It offers Toughness, High visibility, sensitivity, excellent Transparency and Responsive Touch. It is highly durable and protected with 9H hardness, which will also provide scratch resistance feature. You are going to get Life-Time Replacement warranty with Tempered Glass. 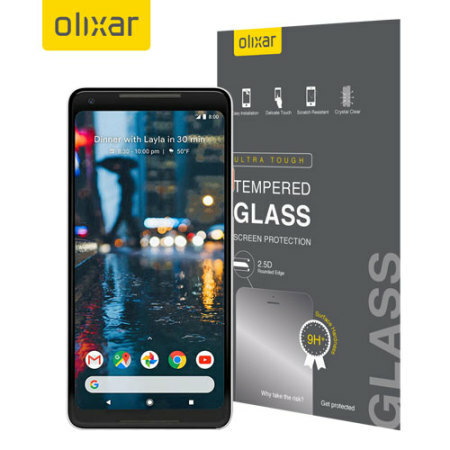 You have read Best Tempered Glasses for Google Pixel 2 XL. Stay connected to YTECHB for latest Tech News, Android & iOS Tricks, Telecom News, Accessories, Mobile Reviews and much more. Like our page on Facebook, Follow us on Twitter, and Subscribe our channel on YouTube @YTECHB. If you have any questions regarding Best Tempered Glasses for Google Pixel 2 XL, ask by using #YTECHB in the comment section.